“In this sequel to Corr Syl the Warrior (2013), Rogers’ (Arizona Wildlife Notebook, 2014, etc.) hero takes on East Asian militants to save his best friend. 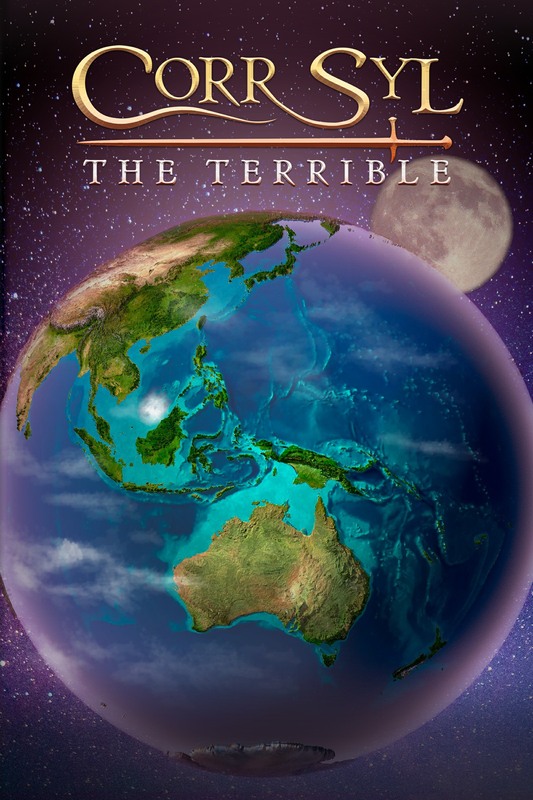 “Corr Syl the Terrible by Garry Rogers is an exciting sci-fi novella with a very intriguing setting, a unique plot and a fascinating collection of characters. Imagine a world where the animals are a hundred times more advanced than humans, both intellectually and in their military skills. A world where human civilization is way behind that of the animals. Unbelievable, right? Well, this world exists in Corr Syl the Terrible and Garry Rogers makes it so easily believable through his flawless story telling. This intriguing tale comes to life right before your eyes, evoking all kinds of emotions. Some scenes gave me goose bumps, others sent a chill down my spine, while others made me smile and my heart soar, further demonstrating how Garry Rogers is a master at bringing out the right emotions in his readers.” –Faridah Nassozi, Barnes and Noble, Readers Favorite. “The Corr Syl series is set on Earth in a very distant future, where all surviving intelligent animal species (Tsaeb) have evolved and become humanoid. They keep humans in check (preferably through non-violent means) to ensure the preservation of the planet, which had previously seen a long era of war and had been ravaged by pollution. Tsaeb are far superior to humans in intelligence and physical characteristics, and, most importantly, they are in tune with nature and each other. “Appendix. People and Places: a full list of all characters and locations, with Mandarin Chinese pronunciation tips. “Afterward”: a short article that ties his fictional future world to current environmental issues and concerns, and the author’s own “Rebel Mouse” climate news newsletter. “The third person narration follows the various main characters: Rhya, Corr, the human Ya Zhōu and the black widow Lactella – some bugs are also very intelligent in the future. “The story is very imaginative and fast paced, with political intrigue, the quest for power, treachery, mysterious technology, humour and friendship. As well as AhLatin, a simple made-up language! “The main characters are well developed and likeable, being very noble of spirit. Although there are clear pointers to a sequel, this episode concludes fully and satisfactorily, with no cliff-hangers. 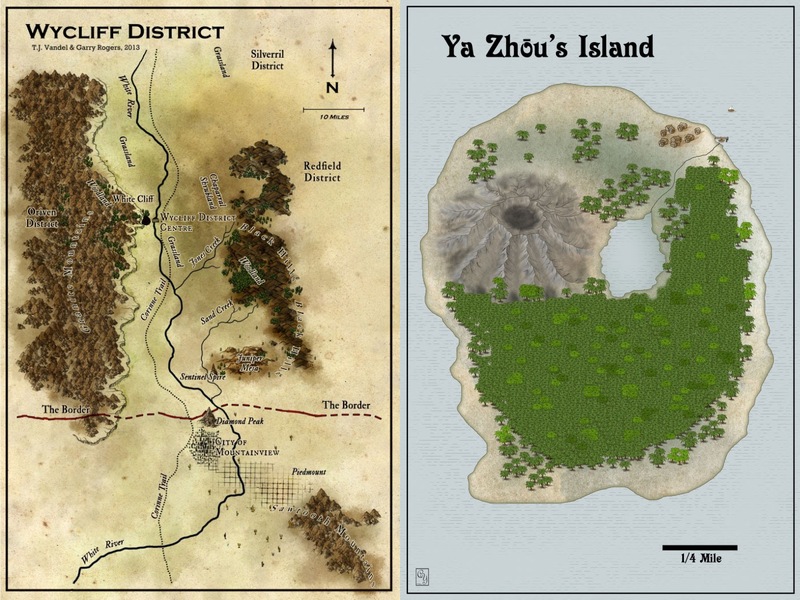 “I really loved the two location maps that were included for the Wycliff District and Ya Zhōu Island. “I would suggest you familiarise yourself with the Appendix beforehand. 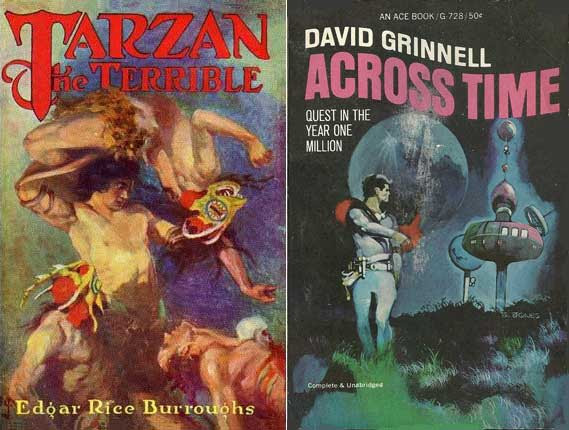 “As a point of interest the author took inspiration from and paid homage to Edgar Rice Burroughs‘ “Tarzan the Terrible” (1921), the eighth book in the series, where Tarzan embarks on a journey to Pal-ul-don (“Land of Men”) to rescue Jane from her kidnappers. The indigenous people, who capture Tarzan, are so impressed with his skills and resilience that they name him Tarzan-Jad-Guru (“Tarzan the Terrible”). This book also contained a detailed map of the valley and a glossary of the local language. “Having already read the first part I was waiting for this sequel with anticipation. Thank goodness the author didn’t take too long in releasing the same, thereby offering me some relief. 🙂 Just like the previous book this is also about animals that are much more intelligent than us humans. Stories like these often remind of Aesop’s fables. Imagine living in a world like that! I am quite sure if animals were to rule the earth it would be a whole lot better than what it is. This book runs in the same vein as its predecessor with a number of twists and turns. There is something for everybody in this ebook: politics, betrayal, romance, friendship and then some more. “Corr Syl the Terrible” by Garry Rogers is a young adult science fiction and fantasy novel that is set on a version of Earth that includes animals who are intelligent and known as Tsaeb. Two of these beings are Corr Syl and Rhya Bright, warriors descended from rabbits, who are human-shaped yet retain many of the characteristics of their species. Unfortunately, Corr is not so sure he can overcome the conflict between his instincts and his training as a warrior but when Rhya is threatened because of her work in Human psychochemistry to help humans achieve multiple thoughtstreams, he finds a way to rescue her, with the help of a remarkable ship, and they strive to make the OFTA (Organization for Fair Treatment for All) a reality, not a sham. “The concept that this author has used and applied towards this story that animals are just as bright, in most cases brighter, than humans is quite interesting and well thought about. His descriptions that he uses are incredible and make for visualization to be done without much trouble. This was a fast read as it is a novella but it isn’t without a great story and story line. As I was reading the story I kept catching myself thinking “what if”. This entry was posted in Corr Syl the Terrible, Science Fiction and tagged corr-syl-the-terrible, novella, science-fiction, scifi, young-adult by GarryRogers. Bookmark the permalink.